Being overweight is something that plagues millions of people all over the world. Gaining dozens of kilos is easy, but true weightloss is an epic journey. 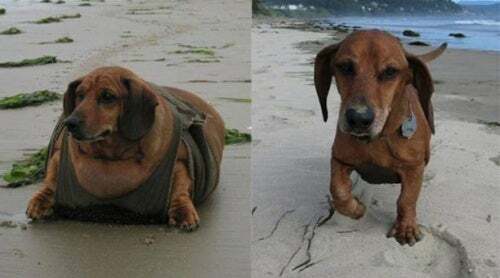 The story of Obie, the dog that lost 25 kilos, may help people in a similar situation set a goal and know that where there’s a will, there is a way. We thought Obie’s story was worth telling and therefore wanted to dedicate one of our articles to it. It is important and might help many others learn that with courage and hard work anything can be accomplished. Obie is a Dachshund and lives with his owners in Oregon, the United States. You might be struggling to think of a dog you know that’s this breed, but…what if I say that Obie is a wiener dog? When we hear wiener dog, many of us think of its owners as a little old couple like from the movie Up, with a mix of Irish and American fun, in a cozy house with a backyard and chimney. 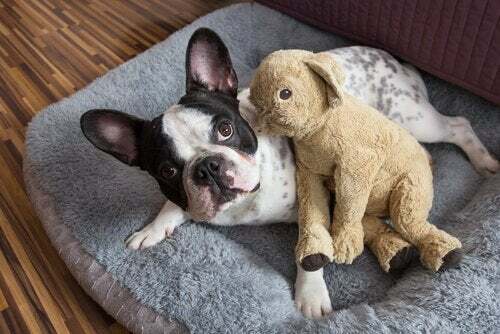 Well yes, Obie’s owners are a little old couple who unfortunately have not been able to give their pet the active life that he needs for quite some time. On top of that, due to their lack of knowledge about dog nutrition they overfed him. They gave Obie food whenever he wanted, perhaps because they believed that the animal was hungry. This led to his overweight problem. It seems that they completely failed to recognize the excessive anxiety that dogs feel toward food. They could have given him an entire cow and he would have eaten it. The truth is that the Obie’s owners had no malintent in allowing the dog to reach the limits that he did, and we want to clarify that in no way is this article blaming them. Obie ended up weighing 35 kilos when his ideal size is approximately 10 kilos. 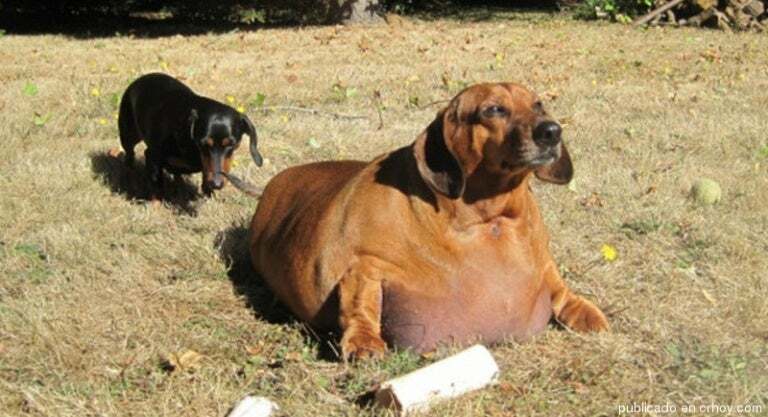 Can you imagine a wiener dog with 25 extra kilos? Yes, he would look like a ball – you imagined well. There are videos of Obie, the dog who lost 25 kilos, in which he appears to be struggling to breathe while walking and his little legs could barely reach the ground. The situation was concerning. How did Obie lose 25 kilos? 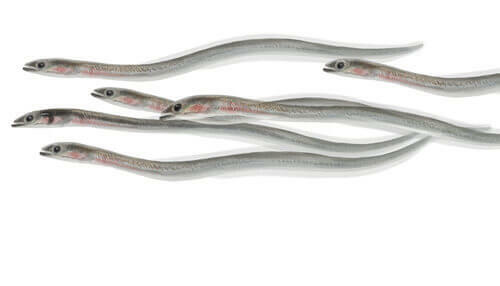 Everything started because of a close relative to the owners of Obie. When he saw the little dog – that the only thing he needed to move was to roll – he alerted Obie’s owners. This couldn’t continue or the dog would die of a heart attack. The owners were frightened and allowed their relative to take Obie to Portland, where Nora Vanatta saw him. Nora is a dog specialist who is both licensed in animal science and is also a technical veterinarian. When she saw Obie’s case she went to work right away. There was no time to lose! With a nutrition and exercise plan she was able to help Obie lose 20 kilos in 8 months. The weightloss journey was incredible. Then came the moment of Obie’s operation to remove all of the excess skin post-weightloss. Removing this extra skin made Obie weigh two additional kilos fewer. However, they continued the treatment for a little longer until the furry little guy lost 25 kilos. We can surmise that it was not easy for Obie, the dog that lost 25 kilos, to change his exercise and nutrition habits. But something inside told him told him he must do it and his willpower along with Nora’s professional help allowed him to achieve it. Today Obie is a happy dog that continues along with his sweet owners, making sure to follow the dog’s feeding guidelines down to the letter. Yet another story of overcoming challenges that shows a great truth: where there is a will, there is a way.